Indiana turns 200 next year! 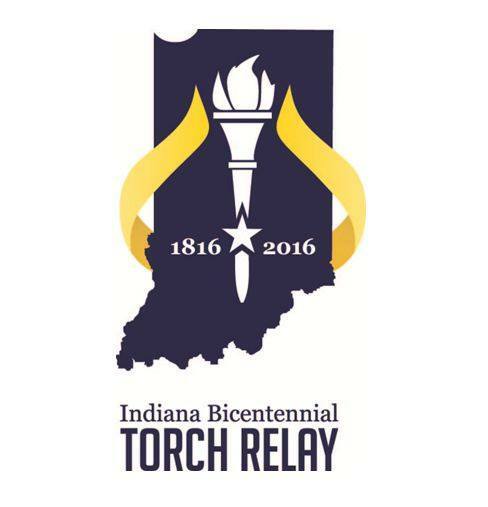 One of the signature events of Indiana’s Bicentennial will be a Torch Relay through all 92 counties, beginning in September 2016. All counties are being asked to nominate torchbearers to carry the torch for their communities. The torch will pass through Howard County on October 5, 2016 from 3:00-6:00 p.m. with a closing ceremony as the torch is extinguished for the day before continuing its journey through Indiana. The nomination form is available at http://bit.ly/HoCoTorch2016 if you wish to nominate a torchbearer in Howard County. All completed forms can be emailed to Katie Guyer at kguyer@greaterkokomo.com or Sherry Matlock at smatlock@visitkokomo.org. The deadline to submit nomination forms is December 31, 2015. For more information, call the Greater Kokomo Visitors Bureau at (765) 457-6802. Lt. Gov. Sue Ellspermann presented Chris Dame of Kokomo (pictured) with a 2015 Hoosier Hospitality Award for outstanding contributions to the tourism industry during a ceremony at the Indiana State Fair on August 21. 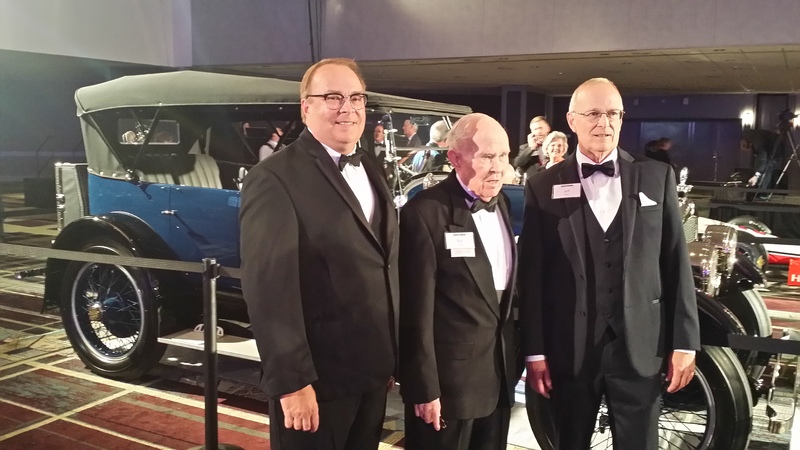 Twenty representatives of Indiana’s travel, tourism and hospitality industry earned the 2015 Lieutenant Governor’s Hoosier Hospitality Award for their high level of service in tourism-related jobs at hotels, restaurants, attractions and other destinations. “These professionals and their Hoosier Hospitality are the vibrant pulse that keeps the tourism industry alive and well in the state of Indiana. It is a great honor to present these awards to such deserving tourism leaders whose work all too often goes unrecognized, but never unappreciated. They live out the Hoosier ideals each and every day as they are out on the front lines showing the public what makes Indiana a great place to visit,” stated Ellspermann. Chris Dame has worked for the Hampton Inn & Suites in Kokomo for five years and was recently promoted to Guest Experience Ambassador. Hotel guests frequently comment on how Dame’s friendly demeanor and knowledge of the best local destinations makes them feel like “Kokomo is a home away from home.” His nominator said that he is the “go-to-person” when it comes to encouraging guests to try local attractions, restaurants and other experiences unique to the area. The passion and sincerity he brings to his work makes him an integral component to the success of the tourism industry in Indiana. Congratulations Chris! Thank you for the excellent service you provide to ensure visitors to Kokomo have a great experience! Lt. Gov. 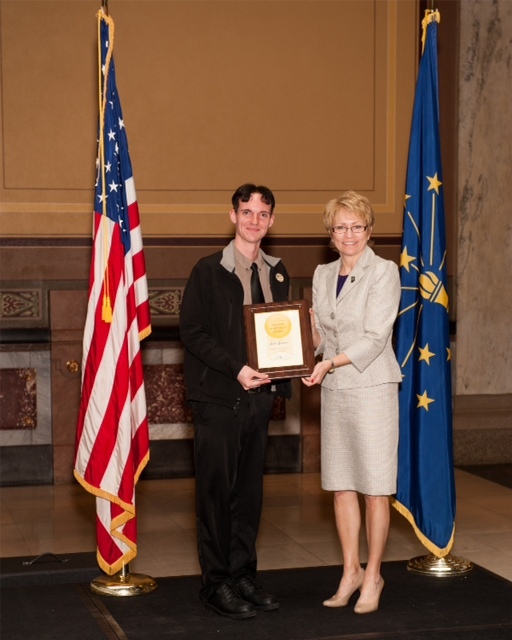 Sue Ellspermann presented Josh Yocum of Kokomo’s Comfort Inn with a 2013 Hoosier Hospitality Award for outstanding contributions to the tourism industry during a ceremony on May 8, 2013 at the Indiana Statehouse. Twenty representatives of the tourism industry earned the 2013 Lieutenant Governor’s Hoosier Hospitality Award for their high level of service in tourism-related jobs at hotels, restaurants, attractions and other destinations. 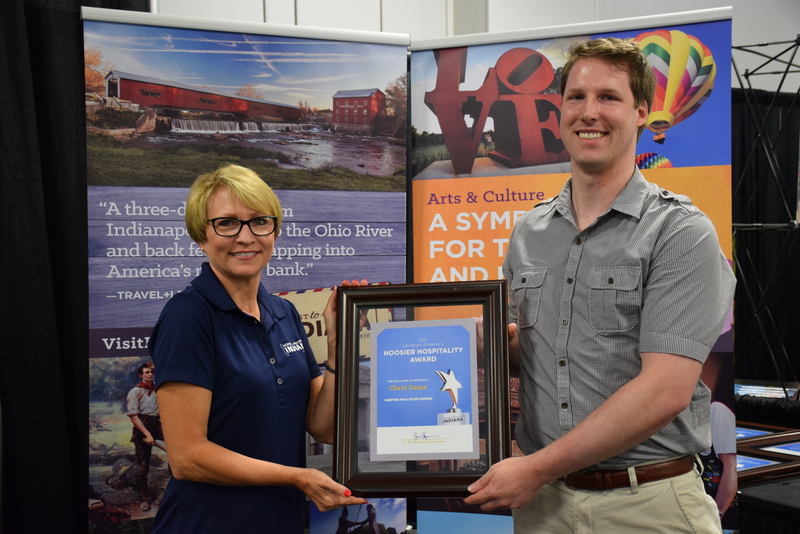 The Greater Kokomo Visitors Bureau congratulates Josh on receiving this award, and we thank him for his outstanding service to visitors in Howard County! Local Kokomo businesses Sweet Poppin’s and Front Porch Pretzels have been named Indiana Artisans. Indiana Artisans supports entrepreneurs who create high-quality art, crafts, and value-added foods in the Hoosier state. Artists are juried into this state-wide group. There are nearly 250 Indiana Artisans across the state, including over 80 foodists. We are proud to have two of these Indiana Artisan foodists from Kokomo! Sweet Poppin’s, located in Downtown Kokomo, makes gourmet flavored chocolate covered popcorn in many indulgent flavors, including Pralines & Cream, Lemon Pound Cake, Strawberry Cheesecake, and Peanut Butter Popcorn. 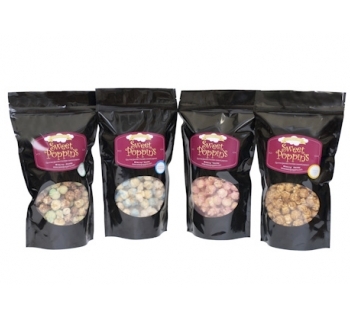 Since their inception, over 30 popcorn flavors and/or combinations have been created. Visit their website to find out why this heavenly treat is “a dream come true!” Sweet Poppin’s popcorn can be purchased online or at their shop located at 107 East Sycamore Street. Using all organic ingredients, Front Porch Pretzels makes hand-rolled soft pretzels, specialty breads, pies, and soups. However, they were juried into Indiana Artisan with their delicious jam made with organic fruit. 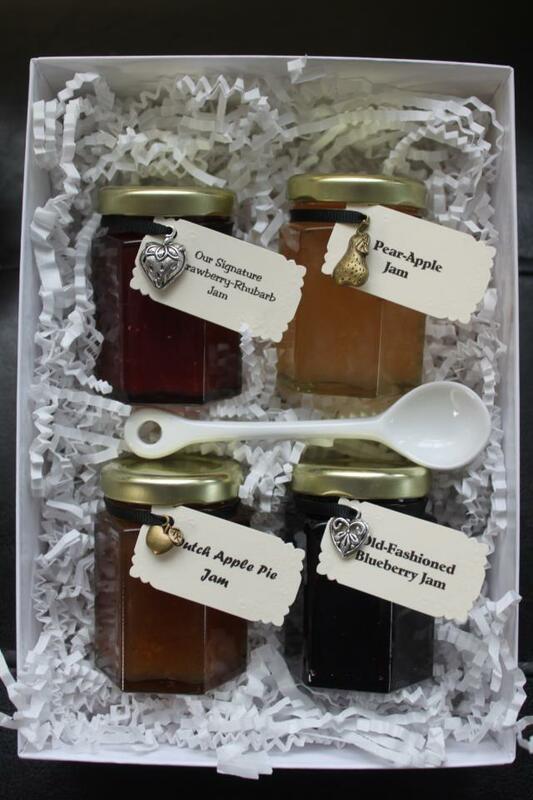 Jam flavors offered include strawberry-rhubarb, pear-apple, dutch apple pie, and blueberry. For more information or to place an order, call 765.455.2085 or follow them on Facebook. To find out more about Indiana Artisans throughout the state and the process to become designated by this program, visit www.IndianaArtisan.org.